There are many pedigreed wines in the world, but some rise above that level and move into the stratosphere of the truly iconic. Montevertine’s Le Pergole Torte is one of those wines because it weaves together so many strands of history and culture. Le Pergole Torte is a wine of tradition and innovation. It is a wine that speaks to the potential of Sangiovese and the unique attributes of Radda in Chianti. 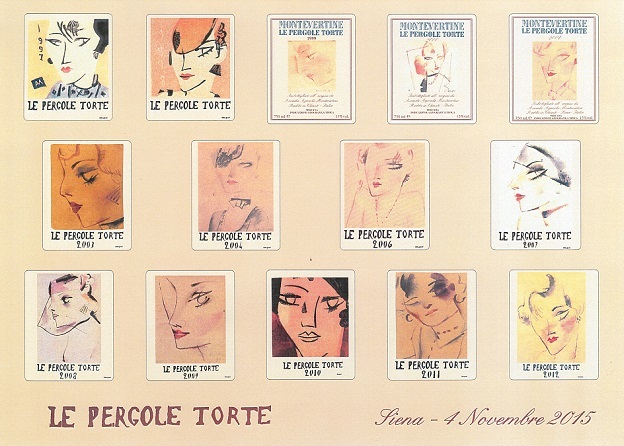 But above all else, Pergole Torte is a reflection of its creator. The late Sergio Manetti was an industrialist, an intellectual and a man of deep culture. His spirit permeates through these wines. When I received an invitation to attend a vertical tasting in Siena this past November it took me about a second to make a decision. Although Sergio Manetti passed away in 2000, his study and library are cleaned daily and remain exactly as he left them. Manetti’s son Martino is at the helm today, but rather than impose anything new, he has left things pretty much untouched. Martino Manetti and current winemaker, Paolo Salvi are the heirs of a rich tradition handed down by celebrated winemaker Giulio Gambelli and long-time estate foreman Bruno Bini. 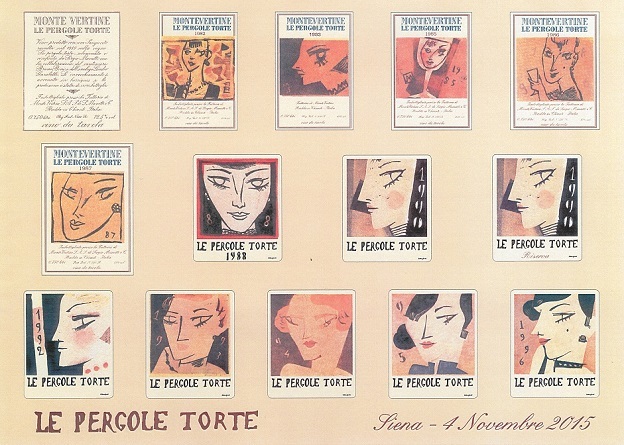 This remarkable, truly once in a lifetime tasting traced the arc of Le Pergole Torte from the early days to the present through 28 vintages. All of the wines were sourced directly from Montevertine. Many of the wines, especially the early vintages, were served from double magnum, a format few, if any readers, will ever have a chance to taste. For that reason, the greatest value in the tasting notes for those wines is the commentary about the vintages, rather than the actual tasting notes themselves. The wines were served from oldest to youngest, half in the morning session and the other half in the afternoon. The only vintages missing were the 1977, 1978, 1979, 1980 and 1981, of which very few bottles remain. 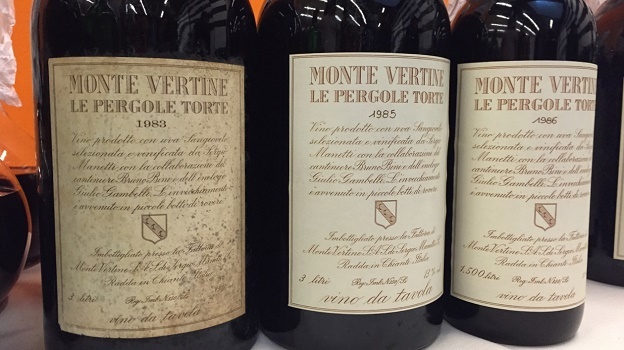 Montevertine did not bottle Le Pergole Torte in 1984, 1989, 1991, 2002 or 2005. 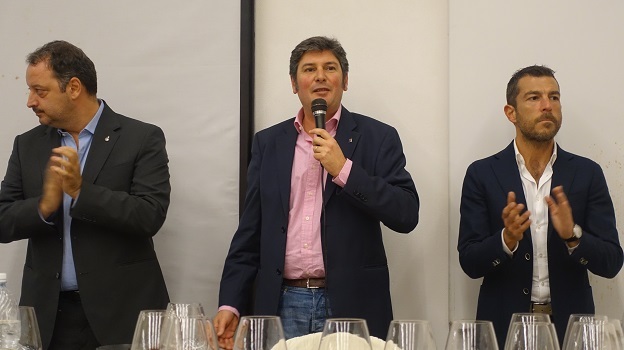 The tasting was moderated with notable passion by Italian wine writers Armando Castagno and Giampiero Pulcini and hosted by the Enoclub of Siena. Wine service was provided by A.I.S., the Italian association of sommeliers. I don’t want to get too far off track – although it would be more than justified – on the point of wine service. Let me just say that Le Pergole Torte is not just one of the great wines of Tuscany. It is one of the great wines of the world. At a bare minimum, it demands a certain level of respect. Service was painfully slow (the result of poor planning), wines were served with sediment and workstations were a mess, among many shortcomings. This is not the fault of the sommeliers working the event – they did the best they could – but rather of the A.I.S. which does not seem to prepare their students with the tools that are now standard among professional sommeliers. But let’s leave that discussion for another day and focus on these splendid wines. Upon arriving at Montevertine in 1967, Sergio Manetti planted two hectares of vineyards. Increasingly dissatisfied with the local bureaucracy and specifically, the insistence that white grapes needed to be used in the production of Chianti Classico, Manetti set out to make his wine from 100% Sangiovese and created Le Pergole Torte, which roughly translates to the crooked pergolas. One of the misconceptions about Le Pergole Torte is that it is a single- vineyard wine. That was true of the early years up to the late 1980s. By 1990 Pergole Torte had become a selection of the estate’s best fruit across several parcels, although it wasn’t until 2001 that the fruit was sourced from the same basic complement of vineyards that is used today. In 1981, Manetti left the producers’ Consorzio and never looked back. At the time, a pure Sangiovese in Chianti Classico was groundbreaking. 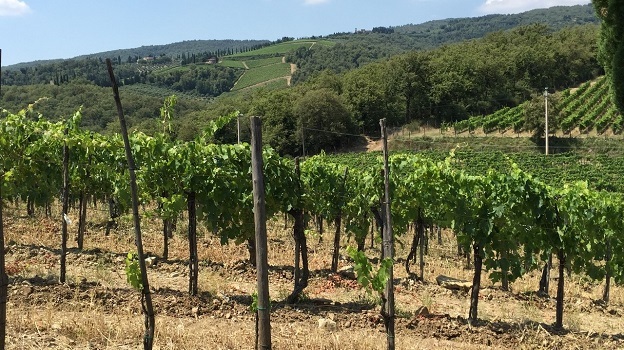 Within a few years, a number of top estates followed Manetti with their own high-end 100% Sangiovese, including Isole e Olena, San Giusto a Rentennano and Fontodi. To further enhance his wine’s appeal Manetti chose the colorful drawings from artist Alberto Manfredi to adorn his labels, lending another distinctive touch to a wine that would go on to achieve its well-deserved status as one of the world’s most iconic wines. Now fully mature, the 1980 Pergole Torte is in a gorgeous place right now. Dried cherry, mint, tobacco, iron, savory herbs and cedar are all nicely delineated in the glass. The acidity of Sangiovese gives the wine its last vestiges of freshness and brightness, but 1980 is fully tertiary and needs to be drunk. This is a very pretty, at times lean, expression of Sangiovese that reflects the personality of the late harvest and character of Radda itself. All things considered, the 1980 has retained considerable color and overall intensity for a wine of its age. With time in the glass, the angular edges soften, and what remains is a lovely, mature wine. "You have to remember that at the time, Montevertine was a small property with three or four people who worked there. It was essentially a hobby for my father," explains Martino Manetti. "Nineteen eighty was the year that my father started getting serious about making wine his profession." 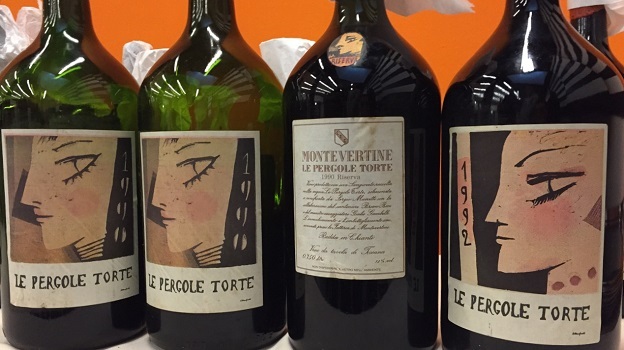 Tasted from double magnum, the 1982 Pergole Torte is a wine of real impact. For starters, the 1982 has a level of mid-palate sweetness and intensity that stands out after the 1980. Dried rose petal, autumn leaves, kirsch and dried red stone fruits all lift from the glass. Here, too, the wine has reached its peak of maturity. If well stored, the 1982 will drink well for another few years because of its depth and creamy, layered personality. This is an especially fine bottle of the 1982. Of course, 1982 remains a sentimental vintage in Italy because it is the year Italy won the World Cup in Spain, defeating archrivals Germany and Brazil along the way. 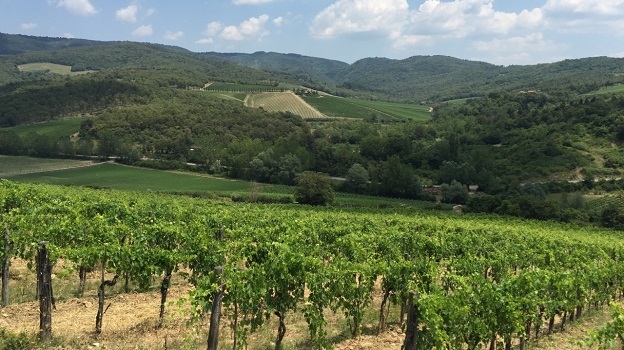 Martino Manetti adds that this is the first vintage he remembers having tasted from cask and the wine that he knew he would spend the rest of his life at the estate. The 1983 Le Pergole Torte (double magnum) is another wine that has reached its maturity. A bit volatile and oxidized, the 1983 is fully tertiary and quite soft on the palate. As always, the 1983 has the characteristic veins of Sangiovese that give freshness. Of the early Pergole Tortes, the 1983 is the most rustic and evolved. A powerful, intense wine, the 1985 Le Pergole Torte (double magnum) hits the palate with a huge fruit and searing, angular tannins. The aromatics are evolved and tertiary, yet the wine maintains an incredible amount of depth on the palate. Rustic and burly in its personality, the 1985 has held up well, even if it is a bit rough around the edges. At thirty years of age, it does not appear the 1985 will ever truly open up, although it does improve slightly in the glass. Hints of torrefaction, spice and cedar meld into the virile, imposing finish. "In life I have always tried to be first, but in this case, I will accept being second," Sergio Manetti once famously remarked in reference to all the accolades that were bestowed on the 1985 Sassicaia. The 1986 Le Pergole Torte, tasted from magnum, is the first wine in this vertical that shows a good deal of freshness on the palate. Sweet red cherry, plum, kirsch, mint and wild flowers take on a decidedly exotic level of intensity, even if the 1986 remains medium in body, light on its feet and gracious. Citrus overtones on the finish add the final notes of aromatic intensity on the hauntingly beautiful close. All the elements are in the right place in a super-finessed, expressive Pergole Torte that hits all the right notes. This is a fabulous Pergole Torte from a long-forgotten vintage. A double magnum of the 1987 Le Pergole Torte is fabulous considering the challenges of the vintage. Wild, feral and gamy, the 1987 is more a wine of power rather that finesse, but there is something about its energy that is impossible to resist. Cedar, tobacco, dried herbs and dried fruit are some of the signatures. This is another terrific wine from a challenging vintage. Here too, the double magnum format has helped preserve the wine as well as could be expected. Martino Manetti describes the 1987 as a wine of darkness because the summer was overcast and rainy. The decision to bottle Le Pergole Torte was taken at the last minute. A great example of the year, the 1988 Le Pergole Torte has it all. Fresh, powerful and vertical in its structure, the 1988 is exceptionally beautiful today. The flavors are dark, bold and vivid, with plenty of dark red cherry, plum, smoke, tobacco, licorice and lavender. Dense and powerful, yet with the classic Montevertine sense of mid-weight structure, the 1988 is exceptionally beautiful today. This is an especially beautiful bottle. Martino Manetti recalls that he dragged all of his friends out of school for two days to pick the fruit. Of all the early wines in this tasting, the 1988 is the vintage I would most like to own. The wine's combination of intensity and structure is spellbinding. Tasted from magnum. Tasted from double magnum, Montevertine’s 1990 Le Pergole Torte is deep, powerful and rich through the middle, but is also beginning to show the first signs of oxidation. The ripeness of the vintage comes through clearly in the wine's forward personality. 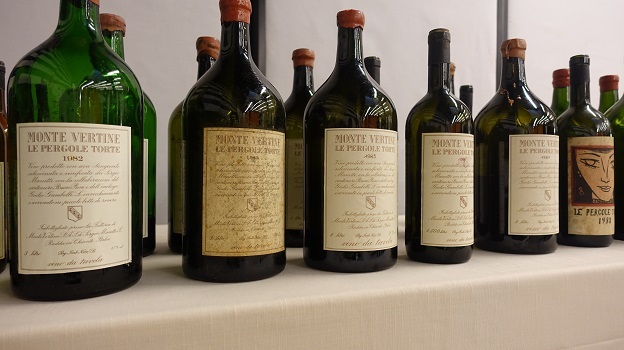 In 1990, Montevertine bottled their best 50HL cask separately as a Riserva. While that wine is epic, one can only wonder how much that decision may have affected the quality of the remaining juice. At the same time, this double magnum does not appear to be in the very best shape. My impression is that the 1990 is a better wine than this tasting suggests. 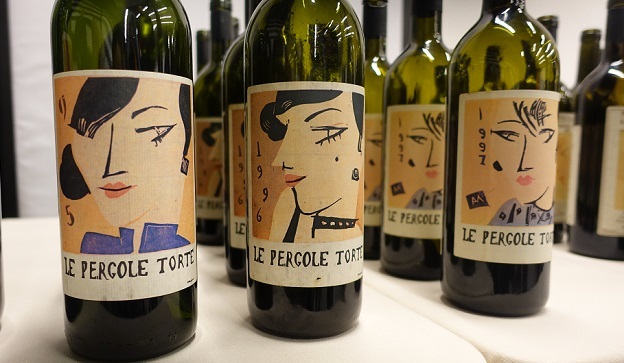 The 1990 Le Pergole Torte Riserva is deep, powerful and explosive, with striking richness. This particular bottle, a double magnum, is not the finest example of the 1990 Riserva I have tasted, but even so, it is clear this is a special wine. A very special wine. The unctuous, sweet fruit that is so typical of the Riserva is there, yet the wine is a bit disjointed, with the aromatics more forward than the palate. It is interesting to note that, while 1990 is generally regarded as a warm vintage that produced opulent wines, the harvest started on October 15, which was on the later side by the standards of the era. The best bottles of the 1990 Riserva are transcendental. This double magnum falls a bit short of that lofty status. One of the surprises in this tasting, the 1992 Le Pergole Torte is simply magnificent. Exotic and intense in the glass, especially within the context of the vintage, the 1992 presents a beguiling melange of orange peel, spices, sweet red cherry, tobacco and mint. Deep, pliant and generous, but with tons of freshness, the 1992 offers exceptional balance. What a gorgeous wine this is. Sadly, the 1992 is not appreciated by many in the audience. I find it striking. The 1993 Le Pergole Torte is precise, nuanced and focused in the glass, with the brightness of the cold vintage very much on full display. Finely cut throughout, the 1993 is all about nuance. Freshly cut flowers, crushed rocks, mint and rose petals are some of the signatures. Even within the context of Pergole Torte, the 1993 is delicate, understated and restrained throughout, with plenty of support from underlying veins of acidity and tannin. "At the time, we did pumpovers by hand, and I remember standing above the vats and wearing a jacket," adds Martino Manetti. The wines may have been slow to evolve, but today, the 1993 is pure class. The 1994 Le Pergole Torte is bold, powerful and gamy, with the ferrous qualities of this site coming thorough quite clearly. A bit disjointed and wild, the 1994 shows the more animal qualities of Sangiovese. Although the aromatics are heading towards the tertiary end of the spectrum, there is enough density for the wine to drink well for at least a few more years. There is not a lot of elegance or finesse here, but the 1994 has held up well considering the vintage. Tasted from double magnum. A beautiful wine that is just entering its early peak of maturity, the 1995 Le Pergole Torte is showing very well today. Exquisite and layered in the glass, the 1995 offers notable freshness and overall intensity, in the mid-weight, gracious style of Pergole Torte. Radiant and pulsating in the glass, the 1995 should drink well for another 15-20 years if stored well. The 1995 is still developing in bottle and has plenty of upside. Today, it is striking. Tasted from magnum. The 1996 Le Pergole Torte, from a cold, late-ripening vintage, is powerful and explosive, with a compelling interplay of ripeness, sweetness and structure. Cherry jam, wild flowers, mint, sweet spices, menthol and licorice meld together in the glass, while lavender, rose petal, quinine and a host of aromatic notes come alive on the finish. Although striking today, the 1996 will drink well for another 10-15 years, perhaps longer. Today, it is truly special. In 1996, the harvest began on October 21, exceedingly late, even for Montevertine. The 1997 Le Pergole Torte comes across as roasted, warm and unusually ripe, especially by the standards of this wine. I tasted two bottles, both of them advanced. Cedar, tobacco, dried herbs and most tertiary notes inform the 1997, a wine that needs to be drunk sooner rather than later. The natural acidity of Sangiovese is the only saving grace. The 1997 is a solid Pergole Torte, but not up to the level of the best years. This is the last wine Sergio Manetti saw bottled and also the year he became ill. The three years that follow would be a period of transition at Montevertine. Sadly, my bottle of the 1998 Pergole Torte is oxidized. The 1999 Le Pergole Torte is powerful, structured and intense, with a big backbone of tannin and tremendous energy. This is one of the more delineated, sinewy vintages of Pergole Torte. In some ways, the 1999 reminds me of the 1988 because of its classicism, but it also has a sense of mid-palate sweetness that is evident. In a bit of an awkward stage, the 1999 is neither young nor old. Clearly, it is closer to the mature end of the spectrum, but I would hold off for a few years in the hope the tannins will soften a touch. Today, the 1999 is awkward, but the pedigree is evident. Cherry pit, smoke, tobacco and cedar resonate on the incisive finish. With time in the glass, the wine gets better and better. The 2000 Le Pergole Torte is bright, fresh and lifted, with surprisingly mid-weight structure and lovely overall balance. The 2000 is a delicate, polished Pergole Torte with terrific balance and a real sense of sensuality. Given the warm vintage, this is a surprisingly delicate wine. A bit fragile and fading, the 2000 is a wine to drink over the next few years as there is nothing to be gained by waiting. "This is the last wine my father tasted from cask before he passed," adds Martino Manetti. "Honestly, I would have preferred that my father's last wine be more important, but that's the way things turned out. For obvious reasons, I have never really liked the 2000 much, but today it's not bad." One of the highlights in this tasting, the 2001 Le Pergole Torte is rich, powerful and explosive, with a real sense of energy. At fourteen years of age, the 2001 is incredibly primary. Stylistically, the 2001 recalls structured vintages such as the 1988 and 1999, but the 2001 has more inner sweetness and pliancy than those wines. Much of the wine's personality can be attributed to a devastating frost in mid-April that took with it 30% of the production. The 2001 can be enjoyed today or cellared for up to another decade-plus. This is a fabulous showing. Rich and powerful, but also wonderfully open, the 2003 Le Pergole Torte, as it is a resounding success in a year that presented huge challenges because of the scorching hot temperatures. It is also interesting to taste the 2003 next to the 2000 and 1997, two vintages that were also dry and hot, as the winemaking team was clearly in a better position to deal with the conditions than it was in either 1997 or 2000. I won’t be surprised if at some point, the 2003 evolves quickly, but today it is absolutely delicious. 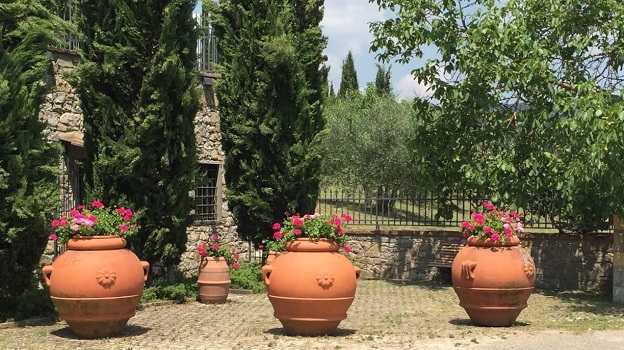 "Two thousand three was the earliest harvest in the estate's history," says Martino Manetti." We had fifty days of uninterrupted heat and 12 days above 40C (104F). The grapes were so dehydrated we had to tighten the grills of the destemmer, otherwise all the grapes would have fallen through." A real rockstar, the 2004 Le Pergole Torte is hard to taste in this vertical, as it is incredibly young and primary. The signature are there - expressive, soaring aromatics, silky tannins and superb persistence - but the 2004 needs at least a few years to show the full breadth of its personality. As always, the 2004 is lithe, delicate and gracious, with stunning harmony and purity. Today, the 2004 comes across as a slightly more refined version of the 2001, a vintage with which it has quite a bit in common. A few more years of cellaring will only help. The 2004 is a Pergole Torte of pure sensuality. What a wine! In my opinion, the 2006 Le Pergole Torte is one of the greatest wines in the estate's history. Towering and explosive in all directions, the 2006 has it all. Power and finesse have rarely been fused together so gracefully. Today, though, the 2006 remains incredibly closed. Interestingly, the 2006 was not well universally received upon its release, especially in Italy. Perhaps some tasters found the 2006 atypically big. That is certainly understandable. A few days later I stumbled across a few bottles in a private cellar. I bought them all. Curiosity got the better of me. I opened one of the bottles and found the wine even better than what I had tasted in Siena. Martino Manetti adds that 2006 was defined by both high quality and quantity. The 2007 Le Pergole Torte is rich, layered and sensual, all typical of this warm vintage. Bold red-fleshed fruits, spices, mint and rose petals are laced together in an expressive, resonant Pergole Torte built on pure texture. 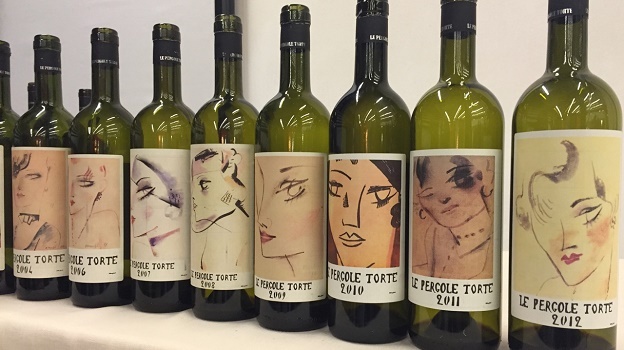 The 2007 is one of the raciest, sexiest Pergole Torte's in the estate's history. It can be enjoyed now or any time over the next 10-15 years. I don't expect to see the 2007 shut down, as it has always been open, rich and voluptuous. The 2007 has always been gorgeous, as it is once again today. Martino Manetti adds that while 2007 was a warm year, conditions never reached the extremes seen in 2003, nor were there any real spikes to speak of. Rather, temperatures were higher than normal over an extended period of time, but then settled back closer to normal in the weeks leading up to harvest. The 2008 Le Pergole Torte is light, delicate and gracious, with lifted aromatics, mid-weight structure and terrific overall balance. One of the more restrained, feminine wines in this range, the 2008 speaks to finesse above all else. Because of its medium bodied personality, the 2008 can be enjoyed today, but it also has enough overall balance and acidity to drink well for another decade and likely longer as the Sangiovese acidity will keep it lively for quite some time. 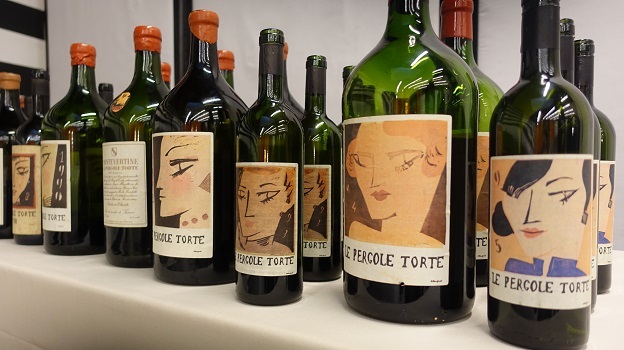 The 2009 Le Pergole Torte is young, primary and fruit-driven. This is another wine that is hard to taste in this setting, as the flavors are so primary. Sweet red cherry, pomegranate and spices are all pushed forward. Succulent, layered and beautifully expressive, the 2009 is likely to open up sooner than most Pergole Tortes, although another few years will help the tannin soften. In some ways, the 2009 is a less plush and exotic version of the 2007. Next to the other warm vintages (2003, 2007 and 2011), the 2009 is lighter and more mid-weight in structure. Today, the 2010 Le Pergole Torte is lifted, gracious and quite inward, all of which suggest it has closed down significantly over the last few years. Crushed rose petals, sweet red berries, mint and white pepper all lift from the glass. The purity and textural brilliance here are both striking, but readers will have to wait a few years before the 2010 fully opens up. Gracious and racy, the 2011 Le Pergole Torte is superb. A younger version of the 2007, the 2011 is all about spherical texture and pure voluptuousness. Although 2011 was a warm vintage, the Pergole Torte still needs a few years in bottle for the tannins to soften fully. Dark red cherry, tobacco, plum, spices meld into the dense, plush finish. A late September harvest had not been seen at Montevertine sine 2003. This is the last vintage made by Giulio Gambelli. The 2012 Le Pergole Torte is brilliant. In fact, this is one of the best showings of the 2012 that I can recall. The flavors are bright, focused and pulsing with energy. Because of its mid-weight structure and not overly complex personality, the 2012 looks like it will start drinking well sooner rather than later. Even today, the 2012 is extremely beautiful. This is a terrific showing for the 2012.